Digital technology has revolutionised nearly every part of our lives. Whether it is to do online shopping, book a holiday or pay a bill. All major companies are rushing to become digital. The UK government is always transforming the economy and envisages becoming a country which communicates and interacts digitally, which will mean reducing the use of paper for communication. There is also an expectation from hair and beauty businesses to offer digital/online services to clients. There are some grants available to help businesses go online. Hairdressers traditionally have been growing through word of mouth recommendations. Their clients have been, and still are, a walking advertisement of their work. But it still comes as a surprise that around 90% of these businesses, which still tend to be independent operators, use paper appointment booking and phone system to receive, make and edit appointments. The rules for client engagement are changing and these businesses need to offer services online to compete with the big players mentioned above. Some salons have begun to embrace the digital world. This move towards the digital world has been fuelled by just how quickly clients expect to interact with a business. Nowadays nobody waits until lunchtime to make a quick call to a salon to book a hair or massage appointment. Clients are too busy to be waiting around for receptionists to pick up the phone, only to be asked if they could hold while they speak to a customer at the desk. They want to be able to book their services there and then and do everything on their laptop, tablet or smartphone. Almost everyone has a smartphone now and they should be able to find you online, book a treatment, find your address, and pay for the service, all from their mobile. 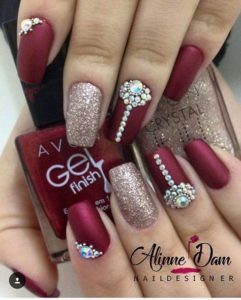 It is important that a salon is seen to have an online presence. This means having a professional looking website. 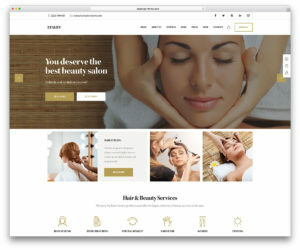 If you have a hair and beauty business and don’t have a website, you are losing out on great opportunities for your business. A website itself can be used to accomplish many different marketing strategies to help your business grow. By having an online presence you allow for the sale of your services 24/7, whenever and with hardly any limitations. To improve the visibility of your website and your business on search engines, such as Google, it is also a good idea to think about blogging. Here is a detailed post explaining why it is important for all businesses to blog, especially those in the hair and beauty industry. Regular online engagement makes the company appear approachable and well connected with its clients. It also promotes the idea that the salon is in touch with the digital age, is forward thinking and accessible. This can be done not only through the website, but through social media. Social media, such as Facebook Pinterest and Instagram are also becoming crucial for every salon business and can be used alongside your website to promote your business. Through social media, your online business is open 24/7. People are searching all the time to find good quality service providers. You’ll find that ‘Millennials’, and even the newly-termed ‘Xennials’ (those born between 1977 and 1983), use it daily. This is how they connect to the world around them. You can create a Facebook, Pinterest and Instagram accounts and add posts/pins to promote your salon and interact with clients. Hair/Beauty salons can encourage friends, family and clients to ‘like’ “save” and ‘share’ their services and leave comments of endorsement. These social media sites also allow photos to be uploaded showcasing talents/skillset with lots of images of different styles, colours and services on offer. Once potential new clients are enticed, they can then be directed to salon websites or even make bookings directly. According to a report by Statista, in the first quarter of 2018, consumers spent approximately 1.9 billion British pounds on salon services. This ever growing industry relies heavily on customer retention. One way of retaining customers is to allow them greater flexibility when it comes to being able to book services. Giving them an option to book 24/7 during a time that’s convenient to them is becoming increasingly desirable in this day and age. How can Grow in Cloud help hair and beauty salons? 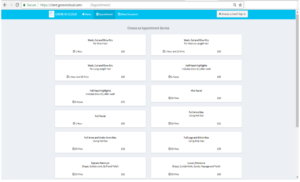 A salon appointment booking software such as Grow in Cloud offers both clients and salon owners the choice of scheduling an appointment online. So even if the client still books over the phone, salon staff can enter the appointment details into the online booking system and send automated bookings via SMS/Email. For customers, they can go on to the free client site (which can be integrated and customised to go with your salon website). They can then book an appointment and choose a date and time that suits them. 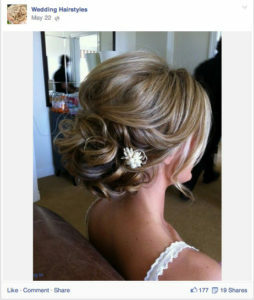 The clients can even select their preferred stylist or make-up artist. Grow in Cloud allows you to improve client retention by sending automated skin test reminders, loyalty point notifications and personalised appointment reminders. By giving clients personalised notices, results in fewer no-shows. Appointment reminders can dramatically reduce no-shows (by 60% on average) and our automated templates allow you to set it up and then forget it, so you can concentrate on being with the customers. Keep your clients coming back for more with Email Marketing Campaigns that promote customer loyalty and repeat business, especially during seasonal holidays. You can combine email marketing campaigns with SMS messages and your salon will have a more comprehensive marketing strategy. Do you need to provide clients with handouts of upcoming events/specials or recommended hair products? How about needing to store documents for certification requirements and business operations? 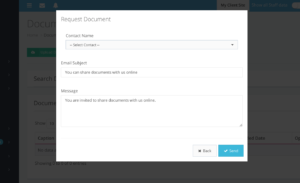 Then the Document Management feature in Grow in Cloud helps you manage those documents in one user-friendly interface and ensures your documents will be kept safe and secure. 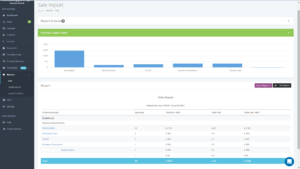 Grow in Cloud Reports feature allows you to take control of your business, increase profit and make better decisions by understanding what’s working and what isn’t. You can track every aspect of your team members’ performance, from products and services. This is all shown in a user friendly, visually comprehensible dashboard. Grow in Cloud features are available using cloud technology so can be accessed anywhere, with an internet connection. Whether you’re working from home or travelling, or simply need to access one salon from another, Grow in Cloud allows you to manage your salon from a laptop, tablet or a phone 24/7. Check out Grow in Cloud – the easy to use salon and spa software used by professionals in the hair & beauty industry. To start a free 30 day trial, click here. For further blogs on the health/hair/beauty industry, go to our Blog section of our website.